In your search to buy visitors insurance, you may have come across two similar travel medical insurance plans: Patriot America and Atlas America. 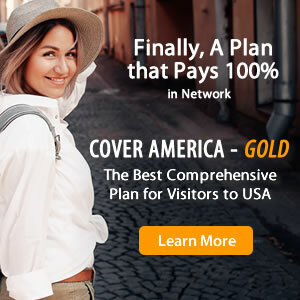 Both of these travel insurance policies are ideal for anyone traveling to the USA or other foreign countries, but it's important to understand the difference between Patriot America and Atlas America insurance plans before you buy. Patriot America insurance and Atlas America insurance are both comprehensive insurance plans, which pay 100% after the deductible is satisfied. For more details about the differences between Patriot America and Atlas America insurance, refer to the comparison chart below.